Rio de Janeiro. Mike Egerton/PA Wire/PA Images. All rights reserved. In November 2009, The Economist had Brazil on its cover (here); the Christ Redeemer represented a rocket and in big letters the journal stated: “Brazil takes off”. The Olympics, it was clear, would present the city with a prime opportunity to show itself off. Right after Rio was announced as the host-city of the Olympic Games 2016, former president Lula gives an interview in which he repeats many different ways the same idea (here): “it is time to celebrate because Brazil has left the level of a second class country and became a first class country”; “the world has finally recognized: it is the time and the turn of Brazil”; “Rio de Janeiro, Brazil has proved to the world that we conquered full citizenship. No one has doubts anymore about Brazilian economic greatness, social greatness”. Therefore, the Rio Olympic Games was part of not only municipal but national rebranding, confirming the arrival of new Brazil. Such rebranding is not exceptional to Rio, and every host city blends its local colours (see here for the Beijing case). In Rio, the blend was a drive to promote highly concentrated and unequal urban transformation. Six months have passed since the day of dousing Rio’s Olympic flame, and few traces of the former optimism are still recognizable. The economy goes through two years of deep depression, and millions of people have returned to poverty, as unemployment rises. An elected president, Dilma Roussef, has been impeached by a parliamentary coup and replaced by Michel Temer, a president no one voted for. Lula was not present at the Olympics he was so proud of bringing to Brazil. Michel Temer’s name was not even announced in the opening ceremony, as the organizers hoped to avoid boos from the public. The Rio Olympic Games was in fact the moment of revealing the stark socio-economic and political contradictions Brazil came to witness. The rise of new Brazil in the 2000s was increasingly seen with discontent among the entrenched elites and upper classes, who might have feared the drainage of national resources for spending on the ‘nation’s majority’. The impeachment of Dilma Roussef would have been the culmination of the rise of such reactionary forces, which might have viewed the Olympic Games and the national branding as the unwanted legitimation of the previous PT governments’ inclusive policies. In the eyes of the lower classes, the ‘extravagant’ spending on the Games' facilities and infrastructure would have been received as the revelation of persistent social and spatial injustice, thus questioning the legitimacy of the government behind the Games. Since the closure of the Olympic Games, the country has been experiencing a strikingly reactionary movement, with the approval of various laws that seem to send the country back to its past. In fact, Brazil’s future seems to be destined to look very much like the past. Picture 1: Barra da Tijuca, where 84% of the games' costs were invested in the Olympic Park and the Olympic village. Photo by Nicolau/Shin. All rights reserved. Social movements have long been pointing out to the human costs involved in the mega-events, due to urban development and redevelopment. In fact, it was reported that 77 thousand families have been displaced due to the preparation for the Olympic Games (here). This number is much smaller than was reported for other mega-events in non-Western countries (e.g. Beijing with 1.5 million people displaced), but still high for a country that enacted the City Statute as a federal law to guarantee the ‘right to the city’. 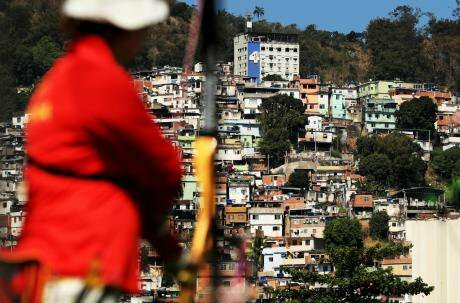 Selectively targeted favelas in Rio for clearance, pacification and upgrading are seeing the rise of rents that act as a displacement pressure on poor residents. The Olympic Games has created an opportunity for slum gentrification. One of the displacement stories is the destruction of a community called Vila Autódromo, which used to accommodate ca. 550 lower class families on the edge of the Olympic Park site in Barra da Tijuca (see here). The government made every effort to displace these families so that it could successfully construct the Olympic Park. These measures ranged from cutting essential public services, to marking the houses to be torn down. Eventually, only around 30 families remained at the site, but with broken social ties. Displaced families were offered a choice of monetary compensation or relocation flats from the federal housing program, Minha Casa Minha Vida. As the monetary compensation was too low, many displaced families went for these flats. 400 families from the Vila Autódromo moved to such flats, located in an area named Park Carioca. Although the area is only 1km away from Vila Autódromo, it is reported that the flats are smaller and the infrastructure is poorer than what they had before (see here). Yet, the residents most regret the lack of negotiation with the Mayor of Rio and the constant pressures they suffered to leave the area. In fact, the residents along with academics presented a regeneration plan for the area that has been internationally awarded, but never considered by the Mayor of Rio. Looking at the infrastructure provision, inequity was also evident. 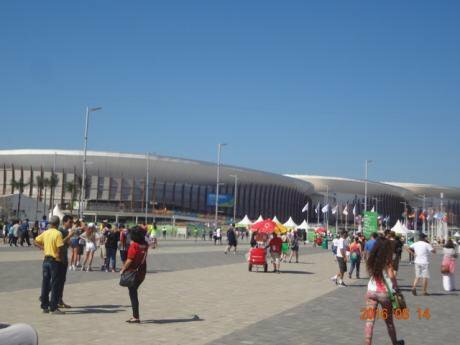 Although the Games took place in four areas (Barra da Tijuca, Deodoro, Copacabana and Maracanã), 84% of the direct Games-related costs (c.US$2.2 billion, based on the exchange rate of 14 February 2017) was invested in Barra da Tijuca, where the main Olympic Park and the Olympic Village were installed (see Picture 1). As for the spending on legacy (US$7.8 billion), 31% was used for building a metro line linking the southern part of Rio to Barra da Tijuca, while another 33% went to the regeneration of Porto Maravilha near Maracanã in the centre of the city (percentage produced by the authors from the official numbers found here). Clearly, Barra da Tijuca has received most of the Olympics-related investment, both public and private. The so-called Brazilian Miami is an area of recent development that has in the last few decades attracted the upper middle class and upper class residents. It is also the area where new business centres have been installed, attracting most of the congresses and conventions taking place in Rio. The Olympic Village was deliberately built to provide units for sale to residents from the higher ranks of the society. The owner of the land where the Olympic Village was built, and a member of the consortium in charge of building and selling the units, reportedly said: “how will you put poor people here?” (here), meaning in an area meant for the rich. This explains why the favela Vila Autódromo had to be dispersed (see here). 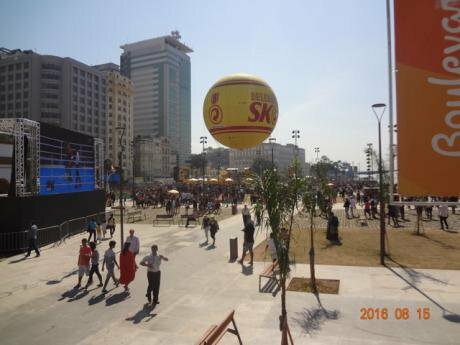 Picture 2: The so-called Olympic Boulevard, where most of the cultural activities took place during the event. Photo by Nicolau/Shin. All rights reserved. The Games preparation also saw the rise of symbolic economy driving gentrification, as was typified by the regeneration of Porto Maravilha. For decades, the area had been home to lower class people. Due to its historical importance and the strategic location as a port in the city centre, it was fully transformed, with the original residents displaced. It became an area of cultural activities and entertainment. During the Olympic Games it was the site of the so-called Olympic Boulevard (see Picture 2), where most of the cultural activities of the event took place. These included the IOC and LOC sponsors branding programs, the “Museum of Valongo” (a new museum that displays the arrival of the first slaves to Brazil) and the huge “Museum of Tomorrow”, signed by the celebrity architect Santiago Calatrava. Through this area circulated the newly built Tram system (see Picture 3): Built for the Olympics, it was used as a symbol of the Rio modernity. 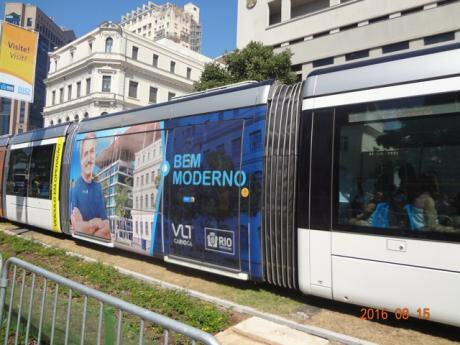 Picture 3: The new tram system was used as a symbol of Rio's modernity. Photo by Nicolau and Shin. All rights reserved. It may be a little soon for a definite account on the fate of the facilities and infrastructure provided for the Olympic Games. The current economic and political crisis warrants uncertainties. However, we may have anecdotal evidences that suggest the onset of the white elephant syndrome in Rio, with a number of key Games facilities displaying disrepair and abandonment (see here). Maracanã stadium, one of the most prestigious football stadia in the world, remains in poor conditions, and has not been refurbished since the Olympic Games, a situation exacerbated by the early termination of the contract with a consortium that was meant to run the stadium for more than 30 years. Since the Olympic Games, the stadium remains closed, reportedly undergoing deterioration. The Olympic Park in Barra da Tijuca has not been used after the Olympic Games either. Private companies were expected to take over some of the arenas, but they have showed no interest so far. The federal government took over the administration of the arenas, but did not assign any use to it yet. Dismantling and reassembly of other temporary structures for use in other places has not happened yet, mostly for the lack of resources: this is the case of the Arena do Futuro, which was planned to become four schools. Porto Maravilha is the result of a public-private enterprise, and, as the official data shows, 93% of the costs were banked by private money. However, this money, 1) has been made possible through public financing; 2) gives the right to private enterprise to build above the height limit of the central area, enlarging its condition to financially explore the space; 3) gives the right to private enterprises to administer the area. In sum, the embellishment promoted in Porto Maravilha meant the transfer of public functions to private enterprises. The investment in public transport such as the metro line from Ipanema to Barra da Tijuca and the BRT (Bus Rapid Transit) system might have benefited the cariocas by enhancing their mobility, but the system was largely planned to make connections with the Games sites primarily. The urban transformation as part of the Games preparation has, therefore, resulted in a fierce concentration of capital to benefit the upper classes. The fiscal crisis that has hit the state and the city of Rio made this concentration even fiercer. Few weeks before the beginning of the Olympics, the governor of Rio declared state of emergency. The Olympic Games were the excuse for the emergency. With this declaration, the governor aimed at: 1) transferring more money from the federal government to the state; 2) being allowed to “take exceptional measures to rationalize every essential public services due to the realization of the Olympic and Paralympics Games Rio 2016” (here).In other words, the governor was allowed to divert money supposed to be used in hospitals and schools to guarantee the services provided to the Olympic Games. Much more important, however, the Olympic Games helped to legitimate a discourse that states that in extreme moments it is fair to transfer money from public to private interests, from lower to upper classes, from the poor to the rich.